"what are the letters equivilent to in actual sizes?" 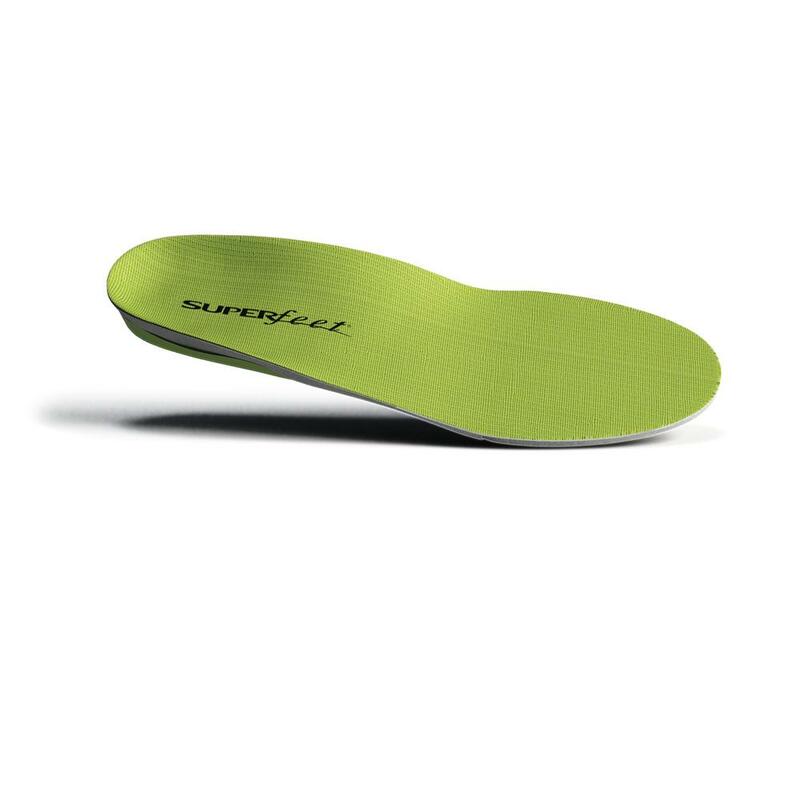 "The great thing about the Superfeet product is that you can cut them to best fit your shoe. The letters actually refer to the width you require for your shoes. When in doubt, size up and then you can trim it so it fits your shoes perfectly!" "I have fallen arches .Would these inserts help me ." "They definitely would. Make sure you get the correct color for the type of footwear you plan to use them in. Watch the video provided for more information on which color you might need!" "I have a pair of Dalbello Boots with foot warmers. The footwarmer batteries are no longer working. I find the boots a bit tight at my toes. If I remove the foot warmer pads and replace them with the blue pads will that give me more room AND be sufficient with no other foot pad or should I go with the green pads?" "I'd say you might want to try the green to help with your situation. They'll give you a bit more room and make your boots more comfortable!" "Is it necessary to order "two" insoles or not? (one for each foot). Thanks in advance." "Each box will contain 2 insoles. " These insoles are the best I've used for hiking. They made an immediate difference with no ''break-in'' time. Excellent arch support and completely eliminated my foot pain over 5+ mile hikes. I had heel spurs and was facing surgery when a friend recommended I try this product. Immediately I could put my weight on my heels again without the extreme pain that I had for months. Within 6 months of wearing them every day, I could start wearing some of my ''normal'' shoes that wouldn't allow for inserts. I still use these when I will be on my feet all day (I am a teacher). The only thing that I don't like is that I can't wear them with my sandals and some of my other shoes. I highly recommend anyone with foot problems to try these!